We helps you to keep a pace with the growing technology. More and more people are working remotely and having a home office is increasingly common. Whether you’re running your own business, freelancing or working for another company, when you work from home, you know how important it is to have a designated workspace or home office for all of your work projects and tasks. The right digital tools can help you to get the most out of your home office, from productivity and scheduling to maintenance of your whole home. You can find some of the most useful products available today as apps for your smartphone. There are is increasing number of specially targeted apps available specifically for entrepreneurs that can help you supercharge your work and care for your home environment. 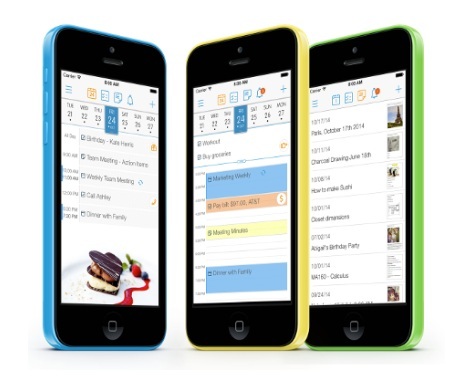 Wunderlist is a super-powered to-do list that can make tracking your tasks and managing your schedule a breeze. As this app promises, you can truly “plan for everything.” With its advanced features, you can create lists of necessary projects and tasks. You can assign an alert to prompt you to do a specific task or remind you about a deadline. This app also interacts with your email and other messages; you can instantly add tasks that come in via email to Wunderlist and create the alerts you need. Not only does Wunderlist help you track all of your work tasks, you can also automate your household responsibilities. From bills to shopping lists or vacation booking, Wunderlist can help elevate your organization. If you’ve ever wished for a personal assistant, 24me can be the app for you. This simple app helps you to track all of your tasks, messages and appointments while allowing you to keep a close eye on the progress of your projects. You can also sync 24me with apps like Facebook to keep track of birthdays, Facebook events and other activities in your work and your life. It’s best to set your own messages to send when using 24me; this is an international app, and you’ll want your messages to come through in your language of choice. Trello is a powerful tool for collaboration and project tracking for teams of any size or even just one person. A sort of virtual pinboard, Trello works as a visual tool for cataloging tasks and ensuring progress. It helps you track and manage all of your ongoing personal projects and come together as a team. Trello syncs easily with other apps like Google Drive or Toggl, allowing you to bring in work projects saved in other apps. This app is free to use with basic features, but paid services are also available for advanced users or large businesses. MindMeister is a visual app that allows you to create “mind maps” and power your creative process for project management, brainstorming, idea development and even note taking. The visual project maps developed in this app can be used to guide your own work or shared among teams and groups. It also allows you not only to comment and participate in group idea development, but to transform those mind maps into beautiful and professional presentations. When you have a home office, home maintenance is more important than ever. Your home is now a functioning office and a workplace as well as the center of your life with family, housemates or friends. You definitely need to perform maintenance tasks on a regular basis, make sure everything is working properly and that your office remains tidy. With Houzz.com, you can always access the latest information about design, architecture, landscape and improvement for your home, including the most exciting ideas for home offices. This site has over 25 million web-based users and even more making use of its smartphone apps. This simple home maintenance app helps you keep track of everything that’s taking place in your home. If your business involves rental property or other spaces, this app will also help you there, as you can manage more than one property at a time. 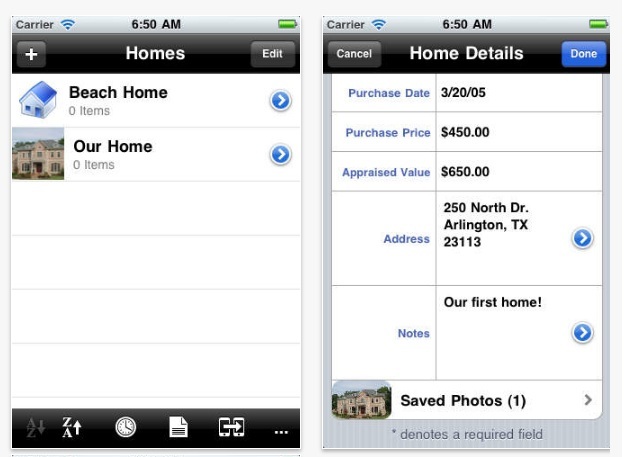 With Home Maintenance, you can create a list of tasks, plan activities and create schedules for your projects. This paid app is one of the most well-regarded home maintenance apps available for your iPhone. When you’re looking to remodel and revamp your home office, iHandy Carpenter can be a great assistant for all of your tasks. 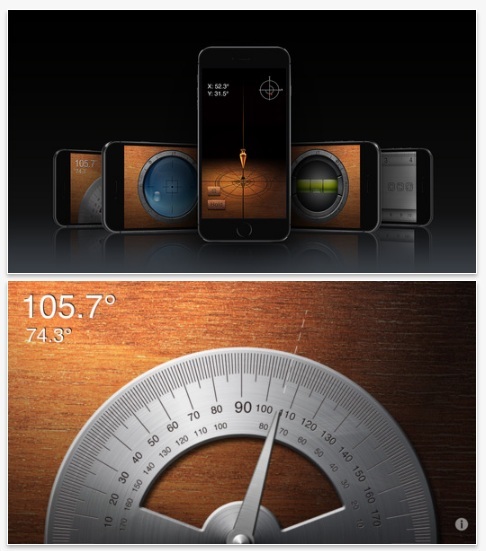 This comprehensive app is a great tool for your remodeling toolbox; it creates a digital ruler, bubble level, surface level, plumb bob and protractor that can replace the physical tools with advanced digital features. With this wide range of digital tools for your home office, you’ll find some of the most useful and productive apps to help any freelancer, remote worker or entrepreneur. You’ll save money and time with these handy tools to improve your work and home life. Give them a try in the App Store or Play Store today and find out how these apps can work for you and your business. Jeff E. Brown is a freelance writer and a self-taught handyman with a knack for lifehacking and DIY projects. Based out of his home office where his two dogs keep him company while he types, Jeff loves writing about home improvement topics as well as tips for work-from-anywhere professionals. You can contact Jeff via his landing page.